Uhuru attends Namibia's Independence Day celebrations on 21 March 2019 and awarded with the highest order of Welwitschia Mirabilis by the Namibian President Hage Geinkob. Image: PSCU. Kenya’s President Uhuru Kenyatta on Thursday joined the illustrious alumni of the Namibian national honour’s roll, after the country bestowed on him the Grand Commander of the Order of the Most Ancient Welwitschia Mirabilis First Class. President Hage Geingob conferred the country’s highest honour on his Kenyan counterpart during the29th Independence Day celebration at Independence Stadium in Windhoek. Kenyatta was the guest of honour during the celebrations of the national event. The honour on Kenyatta was a sign that Namibia remains eternally grateful to the people of Kenya for their generous contribution to Namibia’s independence. Kenya was among African countries that contributed troops in 1989 to be part of the United Nations Transition Assistance Group (UNTAG) that monitored and guaranteed security to the United Nations-led electoral process in Namibia. President Hage Geinkob observes the NDF march-off during the Independence Day celebrations in Windhoek on 21 March 2019. Image: PSCU. After Namibia declared independence on 21 March 1990, and redeployment of UNTAG troop, the Kenyan government agreed to the request to delay the redeployment of its troops help to preserve security and assist with the establishment of the Namibian Defence Force. “In the aftermath of the successful, free and fair elections of 1989, and our subsequent independence, Kenya was there to assist us until we became steady on our feet. When the rest of the UNTAG force departed, our Founding Father, Comrade Sam Nujoma, made a brotherly appeal to President Daniel Arap Moi, for the Kenyan Blue Helmet Contingent, under the leadership of Lieutenant General Daniel Ishmael Opande, to remain behind for three months, to help maintain stability, at the cost of the Kenyan Government,” Geingob narrated. The Welwitschia Mirabilis honour, named after an ancient plant endemic only to the Namib Desert and is the highest honour that can be bestowed to the heads of state of foreign nations. The same honour was given to Angolan President Joao Lourenco in May 2018. The honour, a big medal in the shape of a sun and a sash with two yellow bands and green band in the middle is the highest honour on the Namibian honouring system as per the Conferment of National Honours as per the Act, 2012 (Act No. 11 of 2012). On his Twitter account, Uhuru said, "Today (Thursday) I had the honour and pleasure of joining my friend and brother H.E. President Dr Hage Geingob and the wonderful people of Namibia in their country's Independence Day celebrations." ''I paid tribute to the selfless contribution of Namibia's liberation heroes including the late Kaptein Hendrik Witbooi, the late Chief Hosea Kutako, the late Andimba Toivo ya Toivo, the late Anna Mungunda, H.E. Hifikepunye Pohamba, and the founding father H.E. Sam Nujoma''. Retired Kenyan General Daniel Opande set to receive the second highest award from Namibia. The plans to decorate a retired Kenyan general for peacekeeping service rendered to Namibia under UNTAG and successful peace-keeping mission in Liberia. In October General (rtd) Daniel Opande’s name was featured when President Hage Geinob met President Uhuru Kenyatta. Read This. In the close remark, Uhuru said, "I recalled former President Nujoma's words during his inaugural speech, "I would like to state, on this solemn and historic occasion, that our nation blazed the trail to freedom. It has risen to its feet. As from today, we are the masters of this vast land of our ancestors..." Uhuru urged African nations to strive to build and entrench peaceful, democratic and prosperous societies where our people can realise their full potential without discrimination or prejudice. The Kenyan Head of State jetted into Namibia on Wednesday and will be in the country until Sunday while on his agenda of building Kenya-Namibia relations. 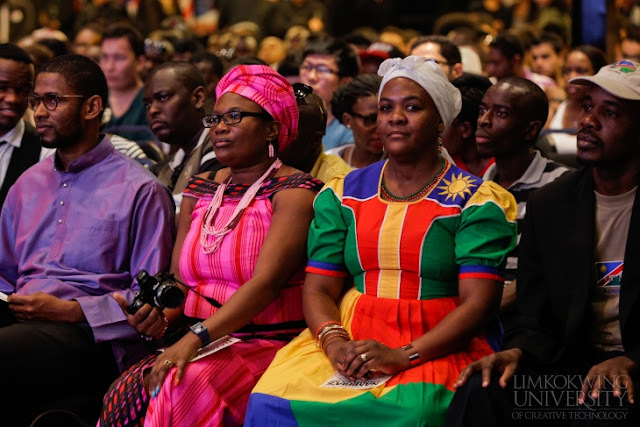 Namibian communities living in diaspora marking the Namibian Independence Day celebration. Namibia’s Independence Day, is celebrated annually on the 21st March. It is one of the biggest annual celebrations in the country and among Namibians in a diaspora. The date marks the day in 1990 when independence from South Africa was officially recognised. “At first, what is now Namibia was the German colony of Southwest Africa, but following World War I, it came under the control of South Africa. 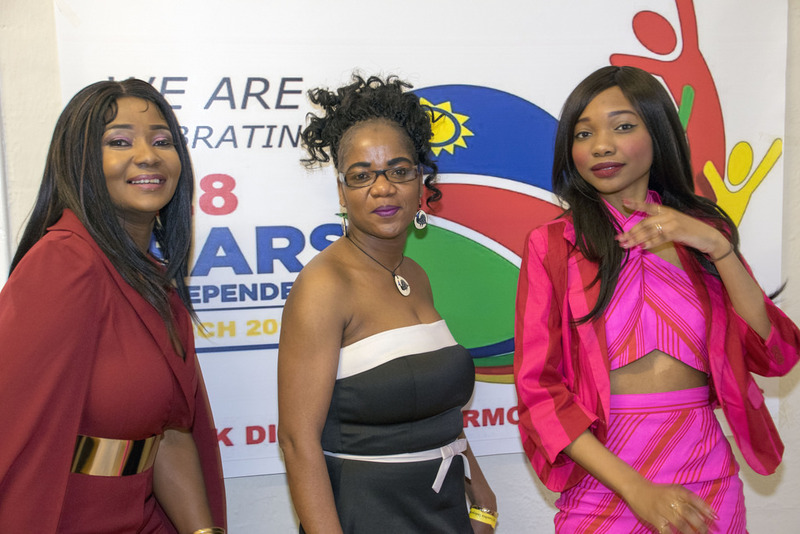 Namibian Independence Day is celebrated by many Namibians either at home or abroad are taking it to the streets to demonstrate unity, freedom, peace and stability. Students in dispora like at Limkokwing University in Malysia usually convening parades, traditional dances and a host of other celebratory events. As part of the National Independence Day, Namibians in UK Diaspora Harmony Companions has put together an exciting event that boasts of live music performances by various local upcoming and well established Namibian artists in the UK include Fashion Show by a couple of fashion designers such as Mrs Eva Moscovitch the CEO of Eva’s Design and Uatii Kav of Uatii Fabric Design. The event will be also honoured by the presence of inspiring guest speakers, Her Excellency Linda Scott the Namibian High Commissioner to the United Kingdom, Mrs Thandiwe Khumalo former Bill Gates Global Poverty Ambassador and Advocate for Disability Rights and Mental Health, to name but a few. The live music performances will feature numerous Namibian artists, namely: Simon Amutjira, a singer and keyboard player, performer and songwriter composer. He has released 8 albums so far 4 in gospel music and 4 in Namibian traditional music, he has won two music awards in Namibia. Simon is currently working on his 9th album in the gospel. Namibian UK-based members posed at 28th Independence Day last year in London. Photo:DSC. 'As Namibian community living in Britain, we are always looking forward to such a wonderful event and performances. Cello Unotjari Hauanga, music producer and artist. He is also CEO of CUH records and artist. He plays the piano and loves to entertaining people. Cello released a new album in 2018. Taaya Shangula is a producer and songwriter/artist, he describes his music as a fusion with bits of hip hop afro beat and house. His aspiration is to see more Namibian participate/engage in music on a wider scale. Finally, the youngest and upcoming artist J.13 songwriter/rapper his music is hip hop, afrobeat and R & B. The date of celebration slated for 23-24 March 2019 at DRS Stadium 24 Middle Park Ave in London. It’s going to be an amazing celebration, with DJ Black Cerian heating up the dance floor. And our beautiful Hosts/MC Tuko Gurirab and Otja Maslowska Event coverage will be by international photographer Michael G Spafford, who specialises in consultancy and travelling. Michael’s work includes studio and locations shoots. Fine arts, fashion and glamour. Cultural photography around the world, capturing the beauty of each country and its people. We anticipate over 200 people living in the UK attending this event. The community is working together in running much of the planning and programs ahead of the event. We are aiming to make this celebration more inspiring at the same time catering diverse audiences. We want to take this opportunity to invite fellow Namibians, friends and families in the diaspora to join us in the celebration of 29 years of peace and stability as ''One United Nations''. NOTE: This article will be updated very soon!